Incredible! 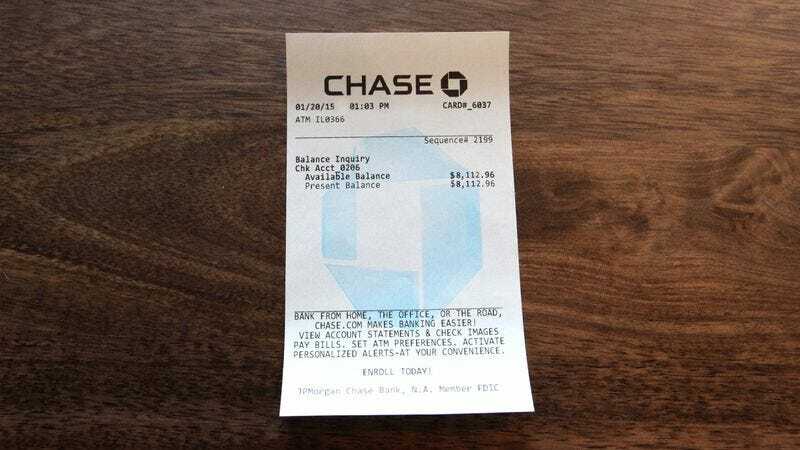 Check Out This ATM Receipt For An Account With Over $8,000 In Available Funds! Yes, you read that right: over $8,000. In one bank account. To give you some perspective: This person has more than $5,000. Not only that, but this person could withdraw a thousand dollars and still have over $7,000 just sitting there in the bank. Craziest balance of all time? We think so. While this beautiful receipt doesn’t say the owner’s name, we want to thank him or her: Because of you, we believe financial miracles can happen. Who knows—maybe, somewhere out in the universe, there could be more accounts just like this one!